In the last few years, I have seen an increase in problems with the power cord and cord plug receptacle. Some common complaints have been "odor of burning"....."dryer is dead"....."running with no heat"....."intermittent running"..... 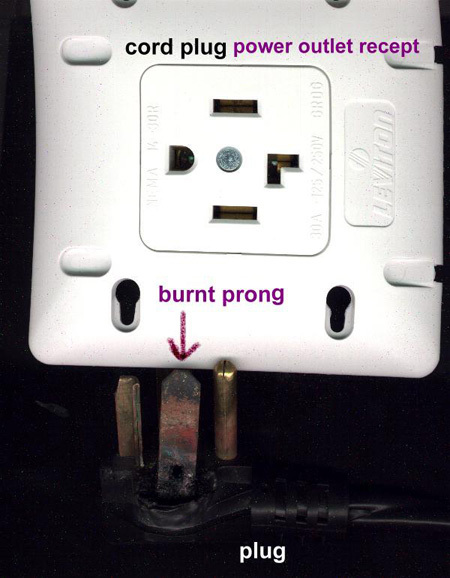 Note, the burnt plug prong on the bottom 1/2 of the picture, usually both the cord and cord plug receptacle must be replaced. Remove power and check for this problem if you encounter any of the complaints mentioned above.